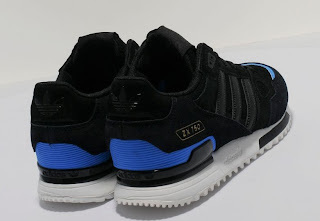 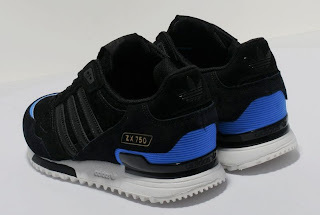 The ZX 750 was released in the 1980's and became Adidas's answer to running footwear technology of the time. 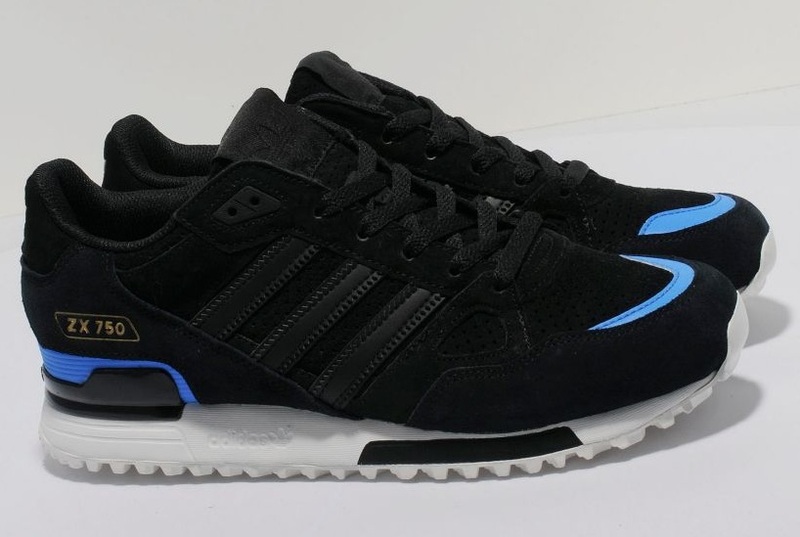 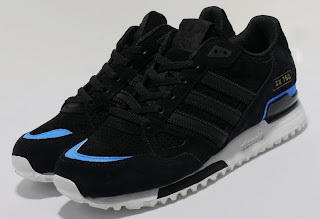 This version from Adidas Originals is presented in a premium black suede upper with a perforated suede toebox and features blue accents on the toebox and heel support and leather three stripe branding to the sides. Sat on a white midsole with black accents these shoes feature trefoil branding to the heel and an adidas brand tab on the tongue.